Ford makes some cars for America, and some cars for overseas. Sometimes those models cross over the ocean in one direction or another, but the Mustang has historically been a pony car meant for America. That all changes with the new model, though. It's not that Ford didn't design the new Mustang for American customers – it's just that it also refined it for markets overseas that aren't quite used to the live-axle brutality to which muscle car enthusiasts in the US have grown accustomed. Now that the Mustang is being offered in Europe – and in the UK with right-hand drive – it was only a matter of time before Chris Harris got his hands on one. And that's just what he's done for this latest video clip, taking a Mustang GT for a spin on both road and track in Wales. That's right, Harris is piloting the V8 model, not the EcoBoost four. So what does he think about an American expat shipped to the British isles? You'll want to watch the ten-minute clip yourself to gather his full impressions. 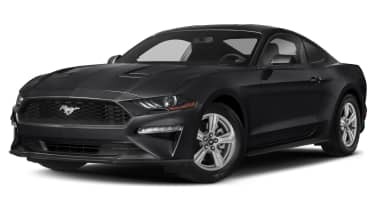 But the long and short of it is that, while Harris doesn't think it's quite the match for something like a BMW M3, the Mustang doesn't cost anywhere near as much as the Bimmer. And that goes a long way, especially with all that rubber laid down on the track in the process.